When trying to decide which vein center best suits you the choices can be overwhelming. There are many different kinds of doctors doing the treatments, there are small stand-alone clinics to treatments within the hospital, there are offices close and there are offices far. One could go crazy trying to compare facilities. There is one easy way to narrow down your search of a great facility. 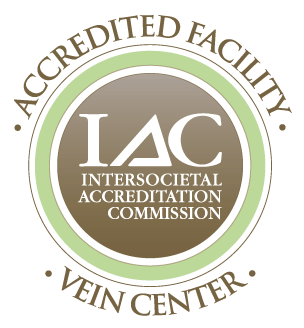 Accreditation is an important tool in determining the competence of a varicose vein facility. Accreditation is a series of checks and balances within the community to make sure certain standards are being met. When applying for accreditation there can be evaluation of ultrasound images, checking appropriate certifications, maintaining continuing education, protocols set in place, and even a walk thru to make sure all things are in place. As a patient, visiting an accredited facility should be important. This can signify to you that the facility takes their job to the next level. They are holding themselves to a higher standard. The accredited maintains practices that you as a patient can have confidence that you are receiving the best treatment that is out there. As a patient, you can rest assured you are receiving your ultrasound by technicians who have taken tests focusing on all imaging aspects of the vascular system. You are also receiving consultations and treatments by doctors who have performed a certain number of exams each year as well maintaining current knowledge in their field. As previously stated the varicose vein market has grown largely over the past few years. There is a great way to pick out a facility for you by making sure that your choice is an accredited facility. 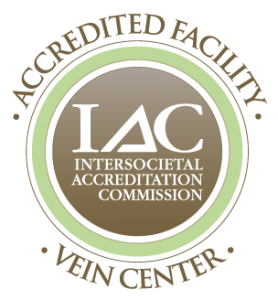 IVC is proudly accredited by two separate accreditation bodies. We would love for you to come and visit us to show you why we stand out above the rest. If our office does not work for you, do not hesitate to ask and make sure the facility you choose is accredited and held to a high standard for your best quality of care.